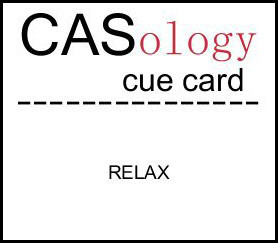 djkardkreations: CASology Week #8 - Relax Already! 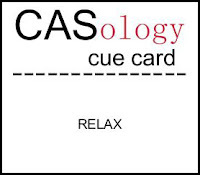 CASology Week #8 - Relax Already! I had a great time visiting my friend's cabin yesterday. It was a beautiful day and it was a beautiful, cozy cabin. I wish I had pictures to show you, but my friend is in the Witness Protection Program and I didn't want to blow her cover. Also, I forgot to bring my camera. I still got in some crafty card time last night. I do adore Melissa's CASology challenges. The premises are surrounded by an electrical ... no, wait, I mean the premise is a single "cue card" word and you then run with it. Each week the winner gets to be the guest designer for the next week. At first glance, you might think, what the heck am I going to do with that? But that's exactly the fun of it. The possibilities are only limited by your imagination! Well, and don't forget the "ology" part: Clean And Simple. This week there is a sponsor: the outstanding Cindy from Cindy Coutts Designs! Check it. And this week the guest designer is the wonderful Karen from Karen's Nuts. I know you think I made up that name, but I did not neither! Karen is brand new to Blogland, so please pay her a visit. How cool for her to be recognized right from the start! Not the best photo because the skies here are cast over today. Fun card, though, huh? One of my little sisters loves puzzles even more than I do, so I will send this card to her, along with the rest of the beautiful puzzle. "I wanted to mention that the pilot of the flight from Chicago to SFO was a lady who sounded exactly like you over the speaker. She was funny and even made up words to better describe situations. I was dumbfounded and actually thought to myself: does Mom have a secret life?" How fun is that?! Do you think I might have a twin gerbil out there? Enjoy! It's a long holiday weekend here in the States, the last hoo-haa of summer, so please be safe wherever you are! As always, thank you for stopping by to visit. 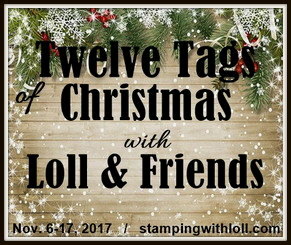 Special thanks to you if you take the time to join as a follower or leave a comment! To sit and work on a puzzle is relaxing Darnell, great take on the cue word. Thank you so much for joining us at CASology this week! This is such a cool card, I love it! What a great idea! I used to do puzzles..........long ago! Now, there is never enough quite time, let alone the space to leave a puzzle untouched and to still have all the pieces when I come back! Hi Darnell, thank you for the lovely mention in your post, and for following my blog. I am loving the CASology challenges, too. I agree, when you first see the cue card, you think, "WHAT am I going to do with that?" 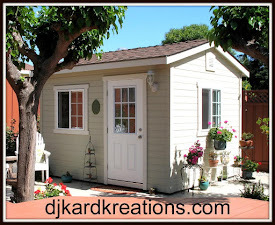 Love your playhouse - could do with one myself! I'm puzzled...did you use tack it over and over, or another removable adhesive? Oh so clever and creative. Hi Darnell - just love your puzzle card and I'm sure your sister will be thrilled. Haven't managed to join in these CASology challenges yet but do know Karen (cool name eh?) of Karen's Nuts from the LIM challenges.....it was what I was going to call my blog but she got there first! lol Definitely not a twin gerbil - you are UNIQUE! A beautiful CAS card. The pieces look marvellous against the white card. Two Darnells in the world? Are we ready for that? lol! 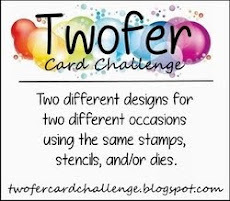 Love your card - what a fantastic idea! We do one 1000 piece puzzle a year - Santa brings it and we all put it together on the dining room table between Christmas and back to school. I'd completely forgotten how much I enjoy doing a puzzle - thanks for reminding me and playing along with CASology this week! oh you are a clever one, miss darnell! what a fantastic card!! thanks so much for playing with CASology each week! Fun and whimical. love it. Thanks for your visit and leaving the luv. Hugs. Yes, it is QUITE fun! What a great idea to use an actual puzzle! Now this is relaxing...what a beautiful puzzle too. Sounds like you had a great trip to the cabin too but no pictures, I was really looking forward to some but I do understand. Another great story too, how fun to have a twin somewhere in the world and yours is a pilot. Your card is clever and gorgeous! Puzzles are anything but relaxing to me, I don't want to quit until I finish them. I'm like a dog with a bone! What a great card idea, Darnell! And beautifully executed, of course. This rocks, Darnell! Such a fun take on the cue work and gorgeously executed! Thanks for playing along at CASology this week! OMGsh!! What an amazing idea!! I may have to steal it! Love the puzzle idea!! 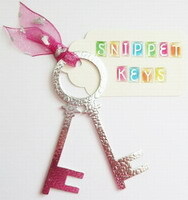 gives me the idea to use it for my youngest niece on her birthday card! Where can we get the puzzle pieces? I used to love to do puzzles and remember my grandma always having one going at her house. What a wonderful idea for a card, Darnell! Fantastic job on this challenge! Congratulations on your honorable mention at CASology! There is always a puzzle in progress at our house! Took the tour of your playhouse ... incredible!! So excited to see you honored for the CASology challenge, what a cool card! Reminds me of the puzzle picture frames that were a popular craft many years ago. Just goes to show how things can be resurrected and done in a contemporary way! Congrats, Darnell! Congrats on your Honorable Mention at CASology! Truly a great card!